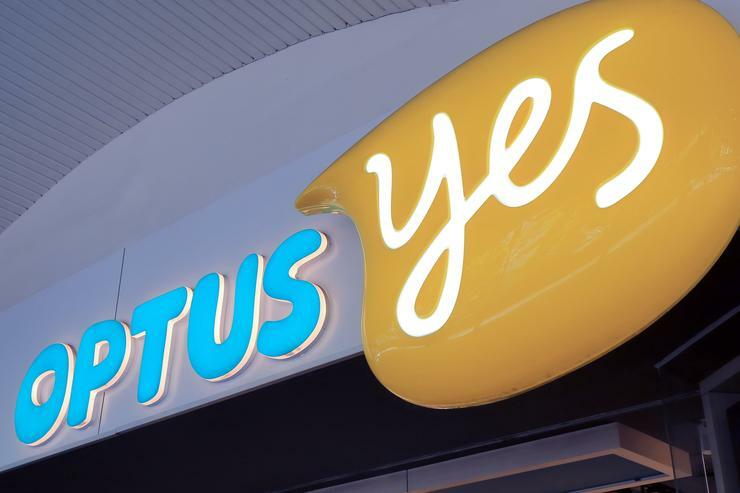 Optus has revealed a $42 million quarter-on-quarter fall in net profit for the three months ending March, citing lower revenues from National Broadband Network (NBN) service migrations. However, the local Singtel subsidiary’s full-year results for the 12 months ending March highlighted a 2.8 per cent year-on-year rise in net profit, to $817 million. Altogether, Optus’ earnings before interest, tax, depreciation and amortisation (EBITDA) for the year grew by 3.9 per cent, to just under $2.8 billion, underpinned by the addition of 384,000 new mobile subscribers. Operating revenue for the year, meanwhile, rose by 3.4 per cent, to $8.7 billion. At the same time, the telco claimed 225,000 new NBN broadband customers during the year and strong growth in its IT and managed services business. Indeed, Optus’ IT and managed services revenue grew by 11 per cent year-on-year, largely due to continued growth in cyber security, cloud and unified communications revenue. Although Optus’ fourth quarter operating revenue grew by three per cent, to $2.17 billion, amid higher equipment sales and strong customer growth, the company cited lower NBN migration revenues, due largely to NBN Co’s temporary suspension order. The company behind the NBN rollout, NBN Co, said in November last year it would temporarily pause all new orders over its hybrid fibre-coaxial (HFC) access network in a bid to remediate technical issues relating to the technology. The halt has since been lifted. Optus not only saw a quarter-on-quarter fall in net profit for the three months ending March, it also saw a 3.9 per cent quarterly fall in EBITDA, to $712 million. The company’s Singaporean parent company said in its annual financial reports that, excluding NBN migration revenues, Optus revenue would have grown six per cent and EBITDA would have increased by three per cent. Regardless, Optus’ mobile service revenue grew by 6.9 per cent for the year, thanks to an increased sales focus on connecting more enterprise customers. However, the company’s voice revenue declined by 2.6 per cent due to a reduction in legacy voice services. “This financial year Optus reached the milestone of 10 million mobile customers who are attracted to our award winning national mobile network, unique content and competitive plans,” Optus CEO Allen Lew said. The latest financials comes as Optus dealt a blow by the Supreme Court of Victoria which, on 16 May, granted an interlocutory injunction sought by arch-rival Telstra for the Singtel subsidiary to restrain the public display of an advertisement that Telstra alleges is misleading. According to court documents seen by ARN, the Optus advertisement in question claims that “The Optus Mobile Network has been ranked the best overall in voice and data”. Below that claim, in smaller print appear the words, “By P3 Mobile Benchmark, Dec 2017”. In an application to the Supreme Court of Victoria, Telstra alleged that the advertisement is misleading and deceptive, and asked the court to issue an order restraining Optus from displaying the advertisement. Ultimately, the court sided with Telstra, at least in the matter of the injunction preventing Optus from displaying the advertisement. “I have decided to grant Telstra the interlocutory injunctions it seeks,” Supreme Court Justice Robson said in a decision handed down on 16 May. “I am satisfied that there is a serious question to be tried, that Telstra may suffer irreparable injury for which damages will not be adequate compensation unless I grant the injunction, and that the balance of convenience favours the granting of the injunction,” Justice Robson said. A full hearing into the matter is set to take place next week.